Ideal partnerships between citizen scientists and for-profit businesses have them sharing the rewards, and profits, together. 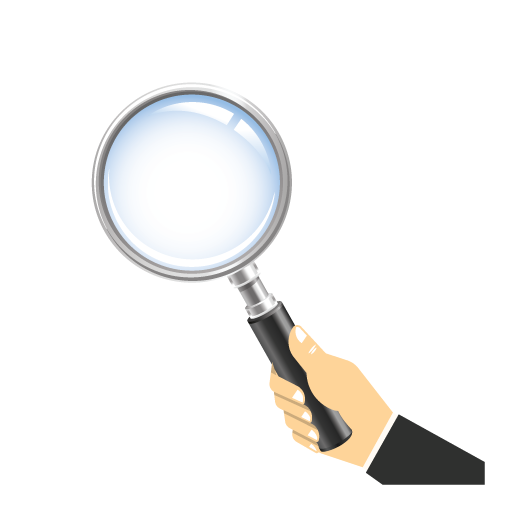 Last week we talked about Analyzer services companies can sell to help citizen scientists. 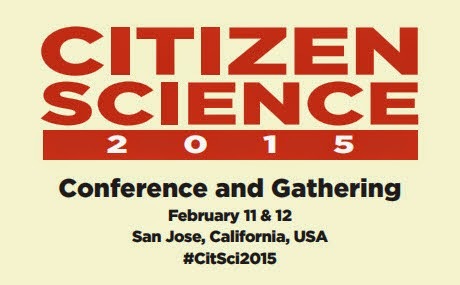 Now it's time to discuss ways for citizen scientists to get paid. This time through the simplest method of all...as a Paid Participant. This is exactly what it sounds like, providing cash or in-kind payments to volunteers based solely on their joining a citizen science project. It's one of the more popular methods of rewarding citizen science volunteers and also a commonly used technique for recruiting new participants. Wildlife census projects sometimes offer people a cash stipend for hiking a particular area while cataloging the animals they see. Other may offer a shirt or other promotional item in exchange for that same type of hike. There are also projects that offer to pay people small amounts per picture they analyze or puzzle they solve. And archaeology projects sometimes pay participants in the form of free lunches and expenses while at dig sites. While we use the term "paid" I've always tried to emphasize that this does not always have to mean cash. In-kind rewards such as free lunches, free t-shirts, or offers of discounted equipment would count as well. The important distinction is that participants are provided "tangible" rewards. While non-tangible rewards such as educational opportunities or civic pride are important parts of many projects, they aren't included in the "Paid Participant" discussion. Payment can be based on a number of different variables. 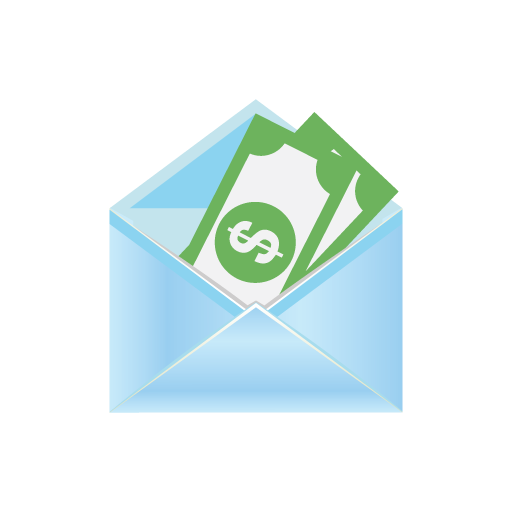 Stipends: Some projects handle payment like a stipend providing a set amount of money for participating over a length of time. For example, people may show up for a day-long research project in the field a State park or wildlife preserve; in return they receive a $20 bill or some free merchandise. This is less than the minimum wage in most places (based on an 8-hour day) so nobody is getting rich from it. But this payment does show appreciation for the person's work and can offset some of their participation costs, such as travel to/from the site, purchasing special clothing or boots due to weather extremes, or buying other types of special equipment. In a strange way you might even consider the stipends people receive for participating in clinical research as human subjects as a type of paid participation. While payment is made once the volunteer signs up it in no way covers all the time, effort, and risk the volunteer commits to. In fact it would usually be considered unethical to provide too high a stipend for fear of motivating people to participate for just monetary reasons. Instead you want people participating for the many intangible benefits they also receive. Which sounds like many citizen science projects to me. Per Task: There are actually a number of scholarly articles (such as this one) describing the benefits of using distinct "tasks" as the basis of non-paid citizen science projects. Or, in some cases where volunteers work for free, showing the value that would be received if payment WAS being made for the work. A great example of this is the Amazon.com Mechanical Turk system. In the case of Mechanical Turk participants are rewarded on a per-task basis, making as much as a dollar or as little as a penny per task. Each one is not much. But add them up and an individual person can find themselves well rewarded for the work. Much like many citizen science projects, Mechanical Turk develops large projects that can be broken into large numbers of small, discrete tasks (called HITs: Human Intelligence Tasks) that can't be effectively performed by computers. These are typically very easy tasks on their own that require minimal time or effort to complete, but the large number of them in the overall project would overwhelm any individual researcher. This is similar to the premise of CitzenSort and the original GalaxyZoo project (and the eventual collection Zooniverse projects). This similarity of these projects to Mechanical Turk is so close they were actually used as the basis for determining the economic value of Zooniverse projects in a scientific paper (click HERE for the original article). There are two other ways projects can pay their participants that have not already been mentioned. These have been written about much less in the academic literature and there is not as much describing them on project web pages. Though talking with citizen science project managers I know they exist. Providing Equipment and Supplies: An example of this is the CoCoRAHS (Colorado Community Rain, Hail and Snow) project measuring rainfall across the country. One can't participate without a rain gauge, so they are given out for free to all who wish to join. Now obviously this is not completely altruistic and is a necessity for having people participate. But you must contrast this with the large number of projects that DON'T provide equipment to participants. When I got into weather as a citizen science project I had to research all my equipment options and shell out my own money; in this case participants get the equipment for free! Raffles and Prizes: Payment does not have to be made to every person equally. As a way to save money organizers may choose to offer money through raffles and prizes open to all who participate. An investment is still required for the prize but only a few need to be purchased. And some people end up winning and being rewarded quite handsomely through it. There's just no guarantee they will win. Going back to our initial premise, all business models should benefit both citizen scientists and for-profit businesses in a mutually beneficial manner. In the case of Paid Participants the direct beneficiary is definitely the citizen scientists. But it helps businesses and professional researchers as a motivation and recruitment tool. In other words, the value paid participants provide is very high compared to other options such as hiring professional technicians or relying on unpaid volunteers. It's also a reminder to not just look at the costs of a business model, but also all the benefits. Something we will see more of as this series continues. One of the best parts about citizen science is the interesting people you meet. Sure, research and discovery are cool, but sharing that with like-minded amateurs makes it all the more fun. Mike Bear is a gentleman I first talked with few months ago and who I've learned much from since. And he's a passionate advocate for ocean-based projects. Like many citizen scientists his initial background was not in science at all. But after starting to scuba dive in 2000 he enrolled in several ocean-related citizen science programs that offered training in basic scientific method and data collection. As a diver myself I completely see the connection...seeing the ocean's beauty makes you want to protect it, and participating in citizen science gives you a means to do so. As time went on his interest grew to where he and a friend started their own ocean-related non-profit dedicated to creating and supporting citizen science programs called Ocean Sanctuaries. This week I'm excited to have him talk about his program and a variety of others devoted to the oceans. It has been updated and adapted from a piece originally published on Medium.com (here) which I also encourage you to check out. In the bad old days of ivory tower academia, only scientists with white coats and Ph.Ds were considered qualified to gather and interpret scientific data—and, God forbid you should suggest otherwise. “Collecting the observations of everyday birders for scientific use is a hallmark of the Lab. Bird watchers of all ages and skill levels help gather the data needed to capture the big picture about the distribution and abundance of birds. Approximately 200,000 people participate in the Lab’s projects. The eBird database allows birders to track any of the earth’s 10,005 bird species to a single scientific database. So far, observations on 8,650 species from 200 countries have been recorded. And, this is only one example. So, what is a "citizen scientist" anyway? The simplest definition is: ...anyone without formal training in science, who collects data using the scientific method, under the mentorship or supervision of a scientist. Some prefer the term community science and it is coming under more and more acceptance within the formal academic community as citizen scientists around the world prove that, with proper mentoring, accurate scientific data can be collected by non-scientists. For those with a bent towards SCUBA diving and the oceans, there are several citizen science groups dedicated to training certified SCUBA divers how to collect and enter data about marine life. Reef.org’s mission is to “to conserve marine ecosystems for their recreational, commercial, and intrinsic value by educating, enlisting and enabling divers and other marine enthusiasts to become active stewards and citizen scientists. REEF links the diving community with scientists, resource managers and conservationists through marine-life data collection and related activities. Reef Check is a slightly more rigorous program whose training is not free, but enables volunteer divers to collect data using many of the same methods used by professional marine biologists. San Diego’s most recent ocean-related non-profit, Ocean Sanctuaries [http://oceansanctuaries.org/], recently teamed up with National Geographic to test its newest citizen science tool, called ‘Fieldscope,’ specifically adapted for documenting shark encounters along the California coastline. Local divers can log sightings and submit photos of Leopard sharks, Horn sharks, Angel sharks, Tope sharks as well as pelagic species such as Blue, Mako, Great White and Thresher. Also, the Fieldscope app for smartphones is available for both Androids (on Google Play) as well as for iPhones here. 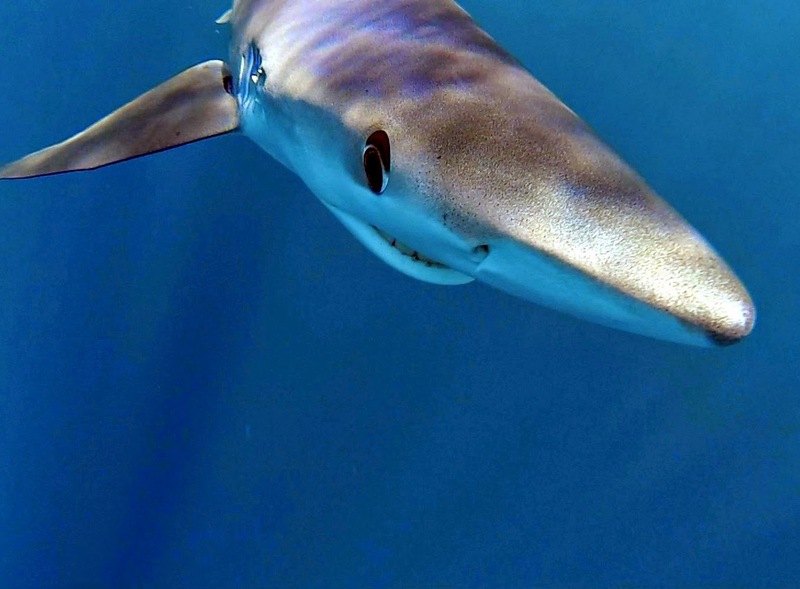 Sevengill Shark Sightings was originally set up as a citizen science project to establish a baseline population study for the Sevengill Shark (Notorynchus cepedianus) in the San Diego and Southern California area and is now an Ocean Sanctuaries project. Local divers take high quality video or photographs and submit them for analysis by the pattern recognition algorithms in ‘Wildbook,’ a software program originally designed by Jason Holmberg to be used in identifying Whale sharks. And, for those with doubts about the quality of data collected in citizen science, a recent scientific paper in PLOS ONE by Gabriel Vianna of the University of Western Australia in showed that data collected by divers was as reliable as the telemetry used by marine biologists. We start with a new business opportunity for firms wishing to sell to citizen scientists: marketing sample analysis services to citizen scientists that expand their research capabilities. There are many firms that already have the equipment, infrastructure, and staff expertise to offer this at a competitive rate. They just need help identifying the citizen science market and deciding how to best package those services. As background, a popular way researchers utilize citizen scientists is as field technicians who collects and analyze samples of whatever the researcher is interested in. Typically these projects require frequent collections from sites that cover a wide area. This is very expensive for the scientists or professional technicians to handle by themselves. But citizen scientists living close to those areas can much more easily access those sample sites. Not only is it less difficult and less expensive for those volunteers to do the research, they also don't charge nearly as much (if at all) for their time. All providing a large cost savings to the researchers. There are many examples. In California, citizen scientists help local water boards ensure the quality of water available for drinking. In States like Pennsylvania and West Virginia, water is sampled for tracking pollution from drilling or agriculture, and Maryland uses it to ensure the health of local waterways (such as the Chesapeake Bay Watershed) to protect native species. And people from across the country are sending in swabs of their homes and bodies to identify micro-organisms living in the world with them. Participants in those types of programs are often considered the "Contributory" or "Collector" type of citizen scientist. The defining common element is that while they collect the data, it is then sent to a central location to be combined with data from other collectors, and then analyzed independently by the research team. But there are also smaller-scale examples where the citizen scientist acts as more of an independent researcher performing those tasks themselves on projects of their own design. Taking on your own research project, especially one based on field studies and sample collection, can be difficult. Most are willing to dedicate the time to collecting and either already have, or are happy to learn, the scientific basis for the work. The difficult piece comes with actual sample testing. They don't provide scientifically reliable results. This can be because the sample preparation is not standard or because the supplier cannot connect the results to calibrated equipment or accepted industry/regulatory standards. The expense of testing limits the number of samples. This increases statistical fluctuations, hinders discovery of procedural flaws in the testing process, and limits reproducibilty. They only offer tests on a limited number of compounds. Although these may be bundled together for convenience sake, this still leaves large holes in the available options. It could be that some tests are too generic, such as only providing "total organic molecules" instead of the amount of a specific compound (like benzene) in a sample. Or, since citizen science is about discovery, they may not test for the novel or rare compound that happens to be of interest to the researcher. They only offer tests at a limited number of sensitivities. This can be because the testing lab has limited equipment or does not offer the more sensitive equipment to retail customers. It could also be that they only test in a certain range because it is the typical "actionable range", but is not what the citizen scientist requires (for example, testing water for a substance to the range where the water is considered "safe to drink" but not any further, though the researcher is looking for trace amounts for other reasons). Industrial firms and government agencies solve this problem by using one of the many commercial testing services available to organizational users (such as Lancaster Laboratories). Unfortunately these companies don't offer their services to citizen scientists. But why? Although there are some reasons listed below none are insurmountable. Legal and Regulatory Concerns: There has always been an odd relationship between independent scientists and chemical firms. Whether manufacturing or analyzing chemicals, it has always been difficult for independent scientists to have these firms accept their business. While there are some economic reasons, there are also concerns about how those services would be used. Many firms fear being tangled up in terrorism issues or illicit drug manufacturing. Since passage of the USA PATRIOT Act and the rise of home methamphetamine labs this is somewhat understandable. In fact, I used to work for a chemical firm that had these exact concerns. But chemical testing is different. You know that samples are coming in to you, and you are only selling information (not products). You can also quickly tell if the analysis is for something innocuous or if it is connected to illegal activity. Sadly fear can still override the market, and nobody wants to take that risk while also trying to build a new market. But (as we'll continue seeing) there is a sizable market worth building and a profitable business to be built. Economies of Scale (Testing): Custom services of any type can be very expensive to sell; that's as true for picture framing and furniture making as it is for sample analysis. Just the time spent setting up equipment can take up most of the cost for custom services when you don't have an "Economy of Scale" But just because companies are selling to citizen scientists, who are themselves working on individual projects, does not mean that everything must be custom. There are likely many people requiring similar testing services even if the specifics are slightly different. For example, anyone analyzing water quality of any type must be following standard protocols developed by the EPA and industry groups. There is no re-inventing the wheel here and the same tests citizen scientists would request would be the same ones a waste-water treatment plant might also order. Although the scale for any individual request is small, lumping them in with tests for other clients, or for other groups of citizen scientists, may help greatly in creating economies of scale and making the service price-competitive. That would cover the majority of customers and help build a client base that would also make more custom research more economically feasible. Economies of Scale (Sales and Advertising): Citizen scientists are a diverse group with many interests and located in a variety of places. This makes finding, advertising, and selling to them very difficult. Much like with manufacturing and testing, developing economies of scale for the sales function is also important. But I think that difficulty is a myth when it comes to citizen science. Many citizen science projects involve thousands, if not hundreds of thousands of people. For web-based projects they can all be reached through a single web portal. For projects that are national in scope there are usually government agencies or national non-profits running them, and who can help with advertising if it will benefit the participants. Similarly, local projects are often connected to larger groups (for example, local bird projects may connect to the National Audobon Society), providing another central advertising location. There are also citizen science support sites such as the Citizen Science Association, SciStarter, and even my OpenScientist web site that could be convinced to hep if shown the value proposition. All that on top of the standard print publications (such as Discover Magazine of National Geographic) that accept advertising targeted a many of the same people who are also interested in citizen science. Soil and Water Testing: Pollution testing often focuses on the methods for conveying that pollution into humans, either through the water we drink or the soil that grows our food. Citizen Science projects may be monitoring individual sites over a long period of time to track existing problems, or may be investigating multiple sites trying to find where problems occur. For soil, citizen scientists may start testing local sites suspected of being polluted or which once hosted potentially-polluting activities. There are thousands of these sites around the country (if not in each state) as well as bodies of water impacting the health of local communities. DNA Sequencing: A few firms such as uBiome and 23andMe already compete in this space but looking at different types of genetic material. For 23andMe they take human skin samples and test for various genetic traits carried by the customer. For uBiome, they also collect human samples but look for bacterial DNA as a way to identify the microorganisms hosted by each person. Both sell kits to collect the data and provide back the test results. Both then go a step further, using composite results from all users and selling it to pharmaceutical firms to help identify new drug targets or diagnostic tests. Selling the kits keeps them in business and pays the bills, while selling the data let's them take bigger risks attempting to earn big money from potential health discoveries. It's a strategy that can be extended to other types of scientific analysis as well. Food Testing: The quality and safety of food is a prime concern for many people and can be the source of many interesting citizen science projects. A few examples include testing raw foods for bacterial contamination, especially comparing producers or cuts of meat. Testing those same foods for pesticide residues or other concerns of the organic food movement are additional opportunities for citizen scientists and services that can help with the analyses. There are also opportunities in testing the fish sold at local markets and restaurants, ensuring that what is sold as salmon is actually salmon and not a pink-tinted replacement (companies like SeafoodID are already attempting this in some markets). To sum it all up, there is a large market of citizen scientists who are ready to expand their research but don't have access to all the analysis tools they need. Fortunately there are companies with the right equipment and know-how to perform those services. They just need to overcome a few obstacles and start marketing their services correctly. And once they do, a whole new set of sales opportunities will open up while citizen scientists greatly increase the knowledge they bring to the world. A win-win situation for us all. This week I'm delighted to introduce Sharman Apt Russell as a guest blogger on OpenScientist. She is the author of last year's popular Diary of a Citizen Scientist and, to me, she personifies many of the values held by our field. Though a writer by training she has never lost her love of science, and despite not being a "professional" researcher, has no problem contacting experts in the field to discuss her findings. She also has a strong commitment to the environment and uses her research passion to help improve our understanding of nature. Yes there's more. 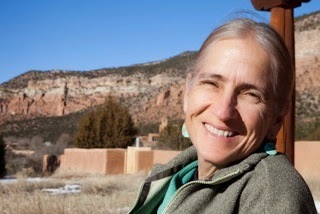 Sharman discusses in her book not only her investigations with Tiger Beetles and other native Southwest species, but also her interest in the native people who inhabited the land before us. Last November she kindly published an excerpt from Diary of a Citizen Scientist on this blog (if you have not read the book I strongly recommend getting a taste for it here). Today she looks back to the past, writing about the time she spends protecting local archaeological sites for the New Mexico Site Steward program and her experiences spending time in those sacred places. On my first walk through this archaeological site—a flat gravelly field of mesquite and prickly pear–I soon see signs of looting, dozens of illegal excavations. 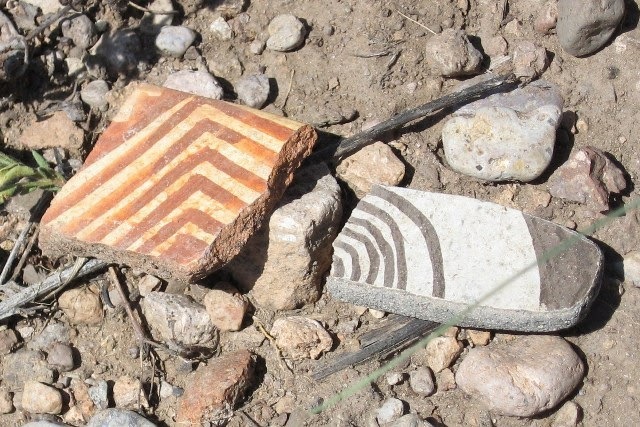 Most of the digging is around the collapsed stone walls of above-surface rooms dating from 1000 to 1150 AD, known as the Classic Mimbres period, when this village in southwestern New Mexico was flourishing. Artists then used the white interiors of clay bowls as a kind of canvas, drawing with thin black lines narrative images and geometric patterns. These artists, who were likely women, often had a good sense of humor. 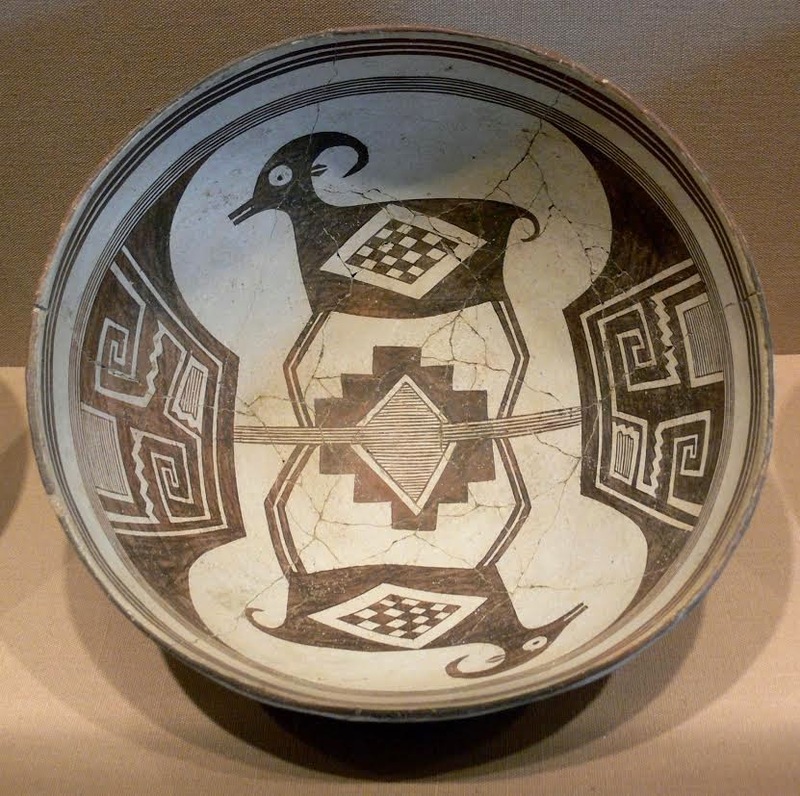 A bowl might show a fantastical creature half bighorn, half snake or a wolf wearing a deer mask. Today these pots sell for hundreds of thousands of dollars, which is why this site has been so heavily “pot-hunted” in the past. My job as a New Mexico Site Steward is to protect the scientific value of this site by preventing more damage. Pot hunters look for the pots and funereal goods often buried under the floors of ancient Southwestern homes, buried with the dead, whom many Native Americans see as being on a continuing spiritual journey. To disturb these graves is to disturb that journey. Moreover, to disturb archaeological sites on public land is also illegal, punishable by fines and imprisonment. This site, in particular, is still of interest to archaeologists who in the future can use nonintrusive methods such as heat-sensing to do their research. In this citizen science program—a partnership of agencies funded by the National Park Service and operating in a number of states--the emphasis is on preserving archaeological sites for that future. Since that first day, I have been to this “village” in the Gila National Forest at least twice a year for the last three years. The thrill never gets old. The ground here is littered with the remains of broken pots from a human occupancy that lasted from 800 to1200 AD and again in 1375 to 1450 AD. I am free to touch and finger these clay shards as long as I carefully put them back where I found them. I pick up (and put down) a square of white with thin black lines, part of a Classic Mimbres bowl—perhaps the image of a crane spearing a fish or a woman giving birth. I pick up (and put down) a curved piece the size of my palm of corrugated brown or cooking ware—all those stews, simmering meat and roots and herbs. I pick up (and put down) a zigzag pattern of red and white, part of an Escher-like complexity, geometry and the human aesthetic: look at the world in this way. The thrill never gets old. The sun is hot on the back of my neck. I breathe in the smell of earth. My heart beats its pulse of blood. And I feel that connection to this life, this potter, this woman. Maybe she had children. Certainly she had worries. A difficult mother-in-law. An abscessed tooth. Danger in the form of snake and mountain lion. Suddenly my own life in the twenty-first century seems like a dream--an amazing, amusing, fantastical dream. Smartphones, restaurants, traffic lights. None of that is more real than this moment among the mesquite and prickly pear. Although I pick up and put down shards for my own pleasure, I am also taking notes and photographs of the area, looking for signs of new damage caused by humans or animals or other natural forces. This is the job of the site steward, explained in the Site Steward Handbook: Find It, Record It, Report It. The program is carefully set up to avoid confrontation between its volunteers and any potential looter or criminal. Approaching my designated site, for example, I am instructed to move quietly and cautiously, muting any cell phone or radio. If I see anyone on the site, I should watch them from a distance, collect whatever information is possible such as license number and “subject description,” and then leave. The New Mexico Site Steward manual warns, “Never place yourself or your vehicle on a hilltop or on the skyline of an open ridge—this makes you easy to spot. If there is no obvious way to conduct your observations safely—do not observe!” I am also reminded that the sun reflecting off binoculars can signal my presence and that I should dress for weather, carry plenty of water, tell my site manger when I am going, travel in teams if possible, watch for natural hazards, not pick up litter (a clue as to who else has been here), gas up my vehicle before leaving, stay near the vehicle if it breaks down, be careful while driving through arroyos, and avoid prolonged exposure to sunlight. Sending people out to remote areas in the Southwest is no joke, and we all take the job seriously. As well as this village, I have one more nearby site to visit: a small cliff dwelling high and hidden on a crumbly slope that requires some climbing. Here a still-solid adobe wall blocks half an overhanging ledge to create a darkened, cave-like room. The narrow entrance to the room still has its wooden lintel. Peering into the dark, hand on the lintel, I feel the frisson of time-travel scented with mice urine. Elsewhere on the ledge, I check to see if the quartz crystals are still wedged into porous rock. Because of these crystals, my mentoring archaeologist has speculated that this dwelling might have been a shaman’s camp, used ceremonially. But he doesn’t know when. People were doing a lot of that in the 1960s, too. The way back to my car is through a slick-rock canyon, the streambed only a few feet wide, pinkish white-gray rock above my shoulders. Next I pass under a cliff of yellow and orange, weathered and oxidized, showing a bit of iron before the canyon narrows again. Now the boulders pile against each other, creating a narrow space, flood debris caught in the cracks and angles, tangles of root and dirt and stone. The air is rich with oak leaf and the musk of some animal. The world is pink and white under the sky’s blue bowl. The silence is broken by my own steps and the gurgly thonk-thonk-thonk and ka-ka-ka of a raven. I feel lucky to be here, connected to both past and future, in a world filled with so much treasure. Sharman Apt Russell lives a mile from the Gila National Forest in Southwestern New Mexico and teaches writing at Western New Mexico University in Silver City and at the low-residency MFA program in Antioch University in Los Angeles. 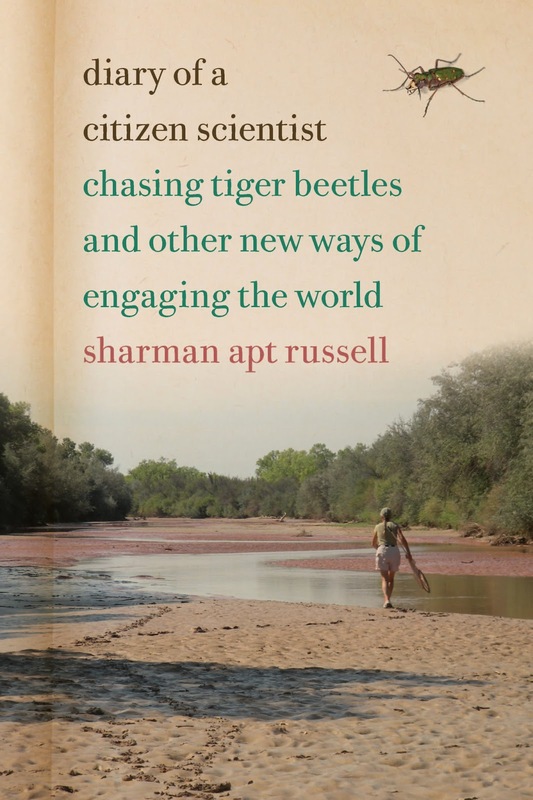 Her recent book Diary of a Citizen Scientist: Chasing Tiger Beetles and Other New Ways of Engaging the World was named by The Guardian as a top ten nature book of 2014 and is available now from the Oregon State University Press. For more information, go to her website at www.SharmanAptRussell.com. She will be speaking about citizen science this April 4 at the Audobon's Woodend Nature Center in Chevy Chase, MD. Today's big news in technology circles was Apple's unveiling the new iWatch. But for researchers and citizen scientists there was an even bigger set of announcements, Apple's introducing the new ResearchKit suite of tools. Don't get confused, ResearchKit is not a new app. Instead it is a toolkit that lets medical researchers create their own applications using functions and data from a user's Apple device. But not just professional developers. This will be an Open Source toolkit allowing anyone with a computer and interest in medical research to utilize it. At the most basic level ResearchKit creates an electronic connection between researchers and their test subjects, allowing the constant collection, and reporting, of data. It blossoms from there though, as researchers can use exercise data from fitness applications and Apple's own HealthKit app, as well as pulling personal health information it. Other functions are available too, such as collecting GPS data (to connect medical incidents to locations) and voice recording. All a researcher needs is some coding experience and a willingness of people to join. mPower - An app that analyzes a user's voice, walking motion, and finger function (by tapping on the phone) to determine the disease's progression at any given moment. GlucoSuccess - A diabetes app that monitors behavior and exercise levels from the phone and compares it to user-reported glucose levels. Although ResearchKit won't be available until next month, these apps are all published and ready to download now. The promise of these individual programs are obvious, and Apple's Keynote (available here at the 16:23 mark) goes through many of them. But what most interests me is that the larger problems ResearchKit tries to solve, and those that are highlighted by Apple itself, are many of the same issues brought up in my own Keys to Successful Citizen Science Projects research. Limited Participation: Recruitment is often a large problem with clinical research on human participants. It is often hard for researchers to find willing subjects with the specific conditions one they are looking for. This is compounded by the difficulty in working with those patients if they are not in the researcher's geographic area, or if it requires frequent visits to a doctor. These obstacles add up as major roadblocks to research. But this is drastically lessened when millions of people have an iPhone and you Make Participation Convenient by integrating your app with it. Massive recruitment campaigns are no longer necessary, nor are lengthy sign-up questionnaires when downloading the app is a click away. ReserchKit apps can help solve this by Making Participation Easy through the iPhones existing health monitoring data and user-friendly interfaces. They more you can automate or require fewer steps by users, the more people will remain as participants through the end. Communication Flow: Providing Feedback is important for keeping people involved in projects after they sign up, improving retention and reducing recruitment costs. The more they see a benefit to their work the more they want to stay involved. But it's also just fair. If they give you so much time and effort (or in the case of health data, trust), they deserve to at least watch what researchers are doing with it. Similarly, Interacting in Real Time with participants also meets that feedback requirement, but int he case of medical data, can provide information they can use on a daily basis to improve their health. There are many more that are not addressed by Apple but which I think are strong contenders for future programs. For example, research apps that also include a gaming component, or a challenge component, will keep people involved by Benefiting the User. Gamification has worked in many other citizen science projects and there's no reason it can't work here too. Researchers could also use the tracking components of each phone to provide rewards, or connect to the many learning applications to help educate participants on the conditions being researched. And some budding entrepreneur could make participation easier by using HealthKit information not only as the data for the research, but also to help you identify which of the many ResearchKit apps to use (in the future there may be MANY to choose from). So there are opportunities for scientific gain as well as financial gain. Of course there are many issues that must still be sorted out. For one, the rules for obtaining informed consent can vary greatly between research institutions, and although Apple has come up with an easy way to handle it for these projects, there is no guarantee that other researchers will be able to do the same thing. Additionally, we have already seen through 23andMe and other cases that entrepreneurial firms with big health ideas often run into problems navigating the labyrinth of regulations surrounding privacy, medical ethics, and patient protection in the health care industry. So any newcomers, entrepreneurs, or venture capital firms hoping to take advantage of HealthKit would be well advised to work through those issues first. There is a lot of potential here. Obviously Apple likes to hype it's own creations and there are still many obstacles to overcome. But if we design apps carefully and learn from the existing keys to successful citizen science projects, the potential this brings will be even greater. Bringing the worlds of citizen science and for-profit businesses together was my main goal for the 2015 Citizen Science Conference. Now I'm happy to report it was a success! Though much work remains I saw examples of people trying various parts of my proposed models, and learned a lot about the economics of citizen science. I also met a number of interesting people with great insights on the topic. All of which I'm excited to share. At this point a mere two weeks have passed since the conference. Enough time to catch up on my sleep, go through all my notes, and let all my thoughts settle. And time for many my colleagues to put up their posters online so everyone can see the good work that is going on (you can also find mine there too). The core principle is that citizen scientists are creating real value with the research they are doing, so increasing financial support for them will also increase the value they can create. To everyone's benefit. So it was great to hear my fellow attendees confirm that often citizen science really can save researchers large amounts of money over hiring full-time technicians. This has been much-discussed with anecdotal evidence, but I had not seen much specific evidence for it until now. In one early presentation, researchers described the difficulty of counting and tracking mountain goats in their normal environment. These animals choose rugged and highly inaccessible places to forage, they roam around a lot, and they blend in to their surrounding easily. All making it very difficult to find them. Typically researchers must resort to the very expensive tactic of renting helicopters for aerial surveys with trained spotters. However, some groups have found that despite the rugged terrain citizen scientists are able to visit mountain goat territory and provide census data equivalent to those using traditional (and expensive) methods. Counts of mountain goats, a notoriously difficult to study species due to the rugged terrain they inhabit, are declining throughout their range, but little is known about how resilient the species may be to climate change. Our small army of over 150 volunteers each year has provided a large amount of baseline information about mountain goats and pikas, a much-needed starting point for tracking future changes. To understand how well these population and distribution estimates can serve as an early warning signal, we needed to compare them citizen science estimates to data gathered by more traditional methods (surveys by biologist and aerial surveys). In mountain goats, although detection by biologists was significantly higher and less variable than that of volunteers, the two population density estimates overlapped and population estimates by volunteers were more similar to those from aerial surveys. Here we have a real case where scientists interested in mountain goat movements can hire citizen scientists to do much of the field work and save the project substantial sums of money. Those savings can then be used for additional research (maybe on other species in the same are) or to expand goat surveys to different areas. And that's after paying for the costs of training and supporting those citizen scientists. But this value is not just demonstrated in ecology projects. Expanding on the work above, some presentations looked to test this idea of citizen science value among different areas of science. For example Brian Fauver from CitSci.org (in his presentation "Is Citizen Science Worth It: Identifying Natural Resource Managers' Values Through Cost-Benefit Analysis") compared the citizen science cost savings between some ecology projects and archaeology projects. He looked at all of the expenses required to operate a citizen science project, such as recruitment costs, training costs, equipment/supply purchases, etc. For citizen science projects these can be considerable, especially the recruitment and training pieces. It costs a lot of money to find interested volunteers and bring them up-to-speed on species identification and reporting requirements (just to name a few). These costs get even higher if you don't just have to train people once, but if you have to do it repeatedly do to people dropping out of the program. In accounting terms these start-up costs are relatively fixed, meaning that they are the same regardless of the project size (e.g., training a class of two people or 100 people costs the same amount). But once those fixed start-up activities are complete, you then have a cadre of trained people to do the research at a very low variable cost. At least for ecology projects, where you can send people out without much supervision or after-action debriefing. They can just go out to report data, and few new costs are added (whether they go out 2 times or 100 times). This provides an economy of scale that offers project managers sizable savings when utilizing citizen scientists. However, not all projects are like that. In some fields, such as archaeology, you can't just leave volunteers unattended. Even after you recruit and train a person you must stay with them and directly supervise their work. This means sticking around to discuss what people are finding and guiding them through difficult situations. So not only are there large fixed start-up costs (like there are in ecology projects), there are also a significant set of variable costs that stay through the lifetime of the project. Sending someone into the field 100 times is much more expensive then sending them out two times, and there are much fewer economies of scale. This means those types of projects have a much higher break-even point and the savings (per research dollar invested by project managers) is much lower. Yet archaeology is still heavily reliant on a volunteer workforce. Why? Because despite it all these people are still offering their services for free. They find motivation in the educational learning, opportunities to help science, and ability to connect with their past (among other reasons). These intangible rewards make them much less expensive (financially) than trained researchers or professional technicians. And that is how they add value to the project managers "employing" them. When we talk about the value provided by citizen scientists we often think of it from the standpoint of reducing the cost of research. But there are other ways to add value. One occurs when the research they perform has economic value in and of itself. I've previously proposed a variety of ways this can happen and I was glad to see some good examples at the conference. One very interesting example was a partnership put together between a Canadian oil company (Cenovus) and the environmental non-profit Miistakis Institute. Together they created the Wild Watch program for tracking wildlife around some of their oil production facilities. These facilities extract petroleum from the Canadian Oil Sands, a highly controversial activity due to its potential environmental impact. The program was developed as a stewardship tool to engage and increase participant's knowledge regarding wildlife use around industrial sites as well as to inform industry wildlife mitigation planning. Wild Watch participants enter their observations through a smart phone app or interactive mapping tool. The mapping tool also enables participants to view their wildlife observations as well as all wildlife observations in the database. The program has been evolved to include bear alert warnings and notifications of rare species to environmental managers on site. Wild Watch has been shared with other industrial partners working in the Canadian Oil Sands and some are joining the program with the goal of informing broader landscape scale patterns of wildlife issues in the region. By participating in the program, Cenovus hopes to show that the local wildlife are not impacted by their operations and show they are good stewards of the land. This helps them with their regulatory obligations in Canada, as well as their legal liabilities if there is ever a spill. So there is real monetary value to this research. Now in this particular case much of the work is done by plant personnel, but they are not specially trained. They act as citizen scientists would in making their observations, and there is no special reason that other versions couldn't use actual citizen scientists unaffiliated with the company. And in those cases much of the value the research creates could be used to support those volunteers. Right now the Miistakis Institute is gaining value from this project since their non-profit goal is ensuring land in that area remains untainted. They have also used the Cenovus funds to build the program and mobile app, which they can then use for many other projects. So these partners have found ways to share the value of citizen science research to both the company's benefit as well as the non-profit's. Just the type of mutually beneficial relationship we need to encourage. I've talked a lot about the profit motive as a key motivator for both businesses and the volunteer researchers. But I also heard people talk about the fairness issue as well. At one point Henry Herrera, President and CEO of the Center for Popular Research, Education & Policy and a man familiar with projects involving local communities asked the audience to think about the ethics of relying on citizen scientists for data collection without compensation. I think that's a great question. This doesn't mean we have to turn all citizen scientists into paid researchers (and I don't think that was his point either). Not at all. But if people are extracting value from their work, shouldn't they be sharing it as well? These examples above are just the tip of the iceberg for demonstrating this sharing and the potential value citizen scientists can provide for-profit businesses if they work together. Different projects obtain value from citizen scientists in different ways, and the different activities citizen scientists also provide different rewards. So there is a lot to sort out. But it's a great start.